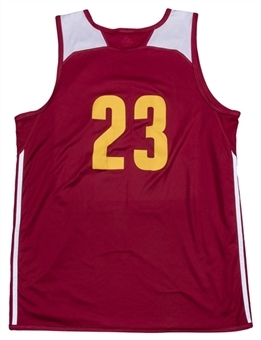 LeBron James wore this reversible Cleveland Cavaliers practice jersey during the 2014-15 NBA season. 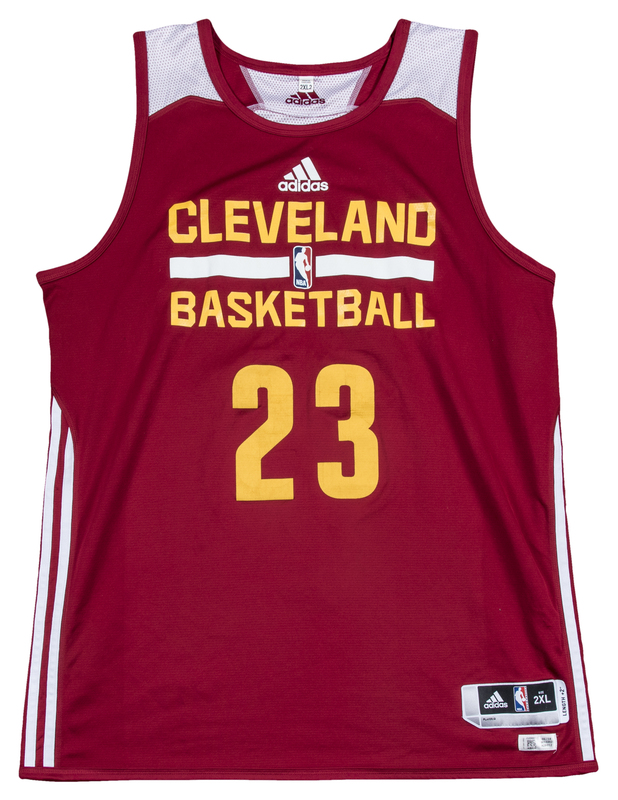 James was, unsurprisingly, one of the two best players in the Association in 2014-15, averaging 25.3 points, 7.4 assists, and 6.0 rebounds per game for the Eastern Conference champion Cavaliers. James and the Cavaliers dropped only two games in the Eastern Conference playoffs, although an injury-depleted Cavaliers team fell to the Golden State Warriors in a six-game Finals. James was the leading scorer in five of the six Finals games, averaging an obscene 35.8 points, 13.3 rebounds, and 8.8 assists per game against the Warriors. 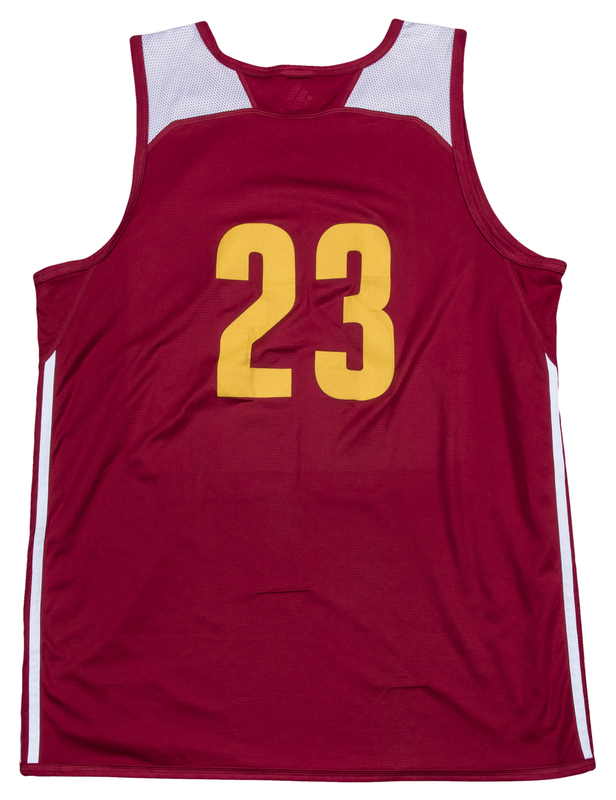 This first side of this reversible practice jersey is red, with “Cleveland Basketball” and James’ number “23” screen-printed on the chest in yellow. 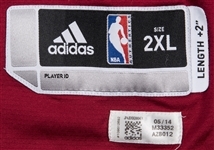 An Adidas logo and a NBA logo are also printed on the chest. 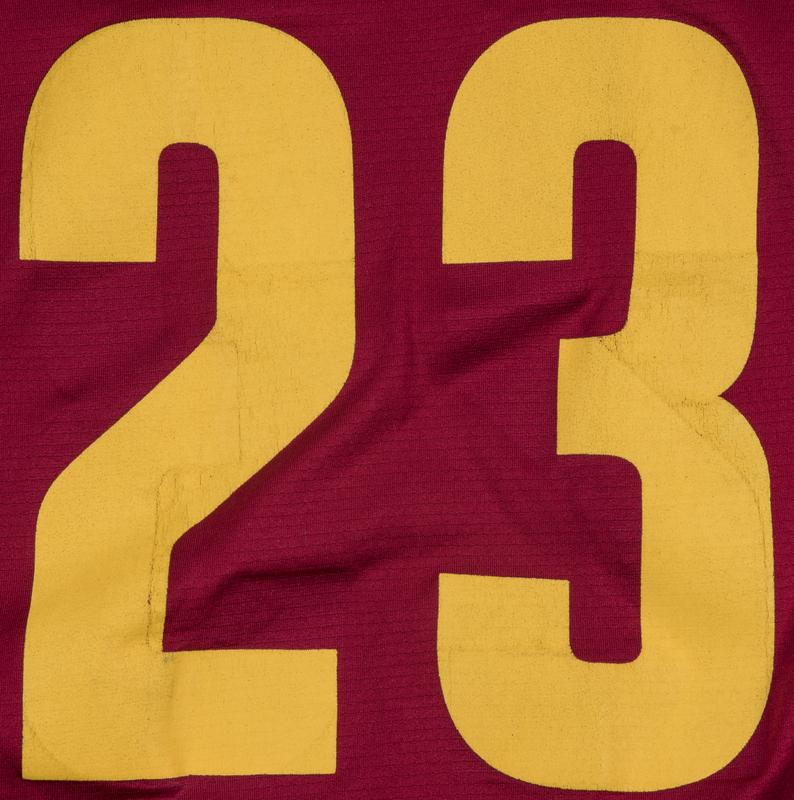 A second “23” is screen printed on the back in yellow. 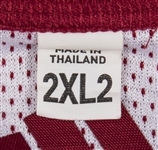 An Adidas size “2XL” tag with an attached “Length +2”” flag is sewn on the front left tail above an Adidas QR code tag. Three white Adidas stripes are sewn on each side of the jersey. 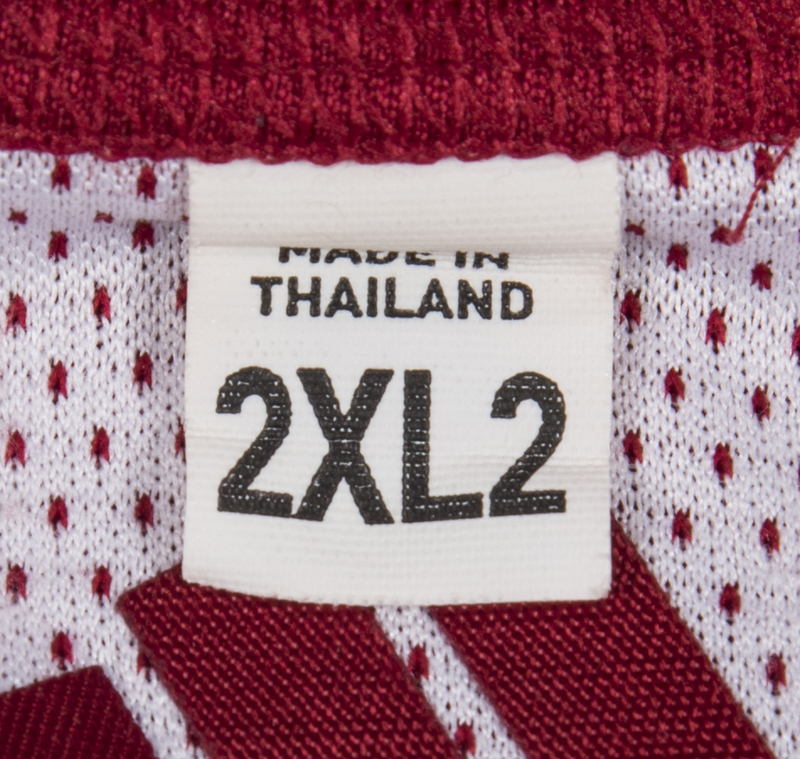 When the jersey is reversed, it displays a white mesh jersey accented with red. 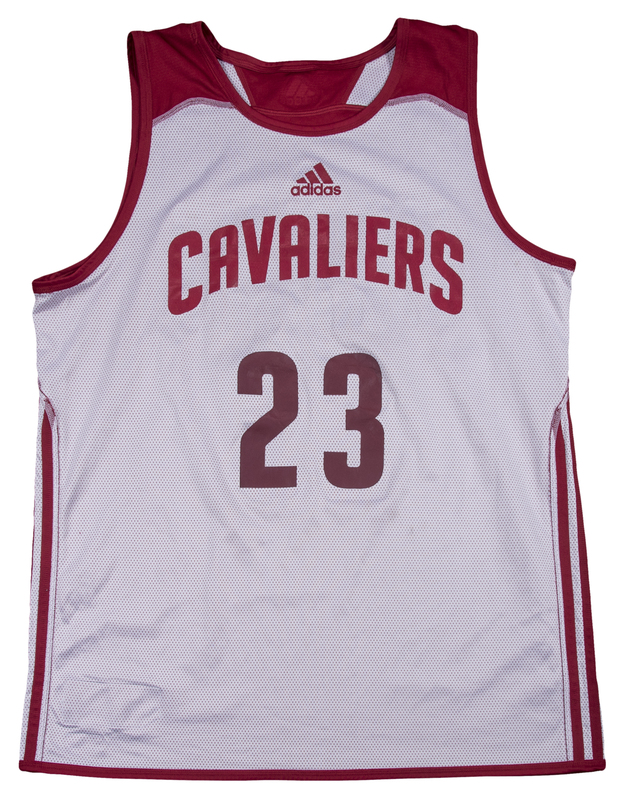 “CAVALIERS”, James’ number “23”, and an Adidas logo are screen-printed on the chest in red. 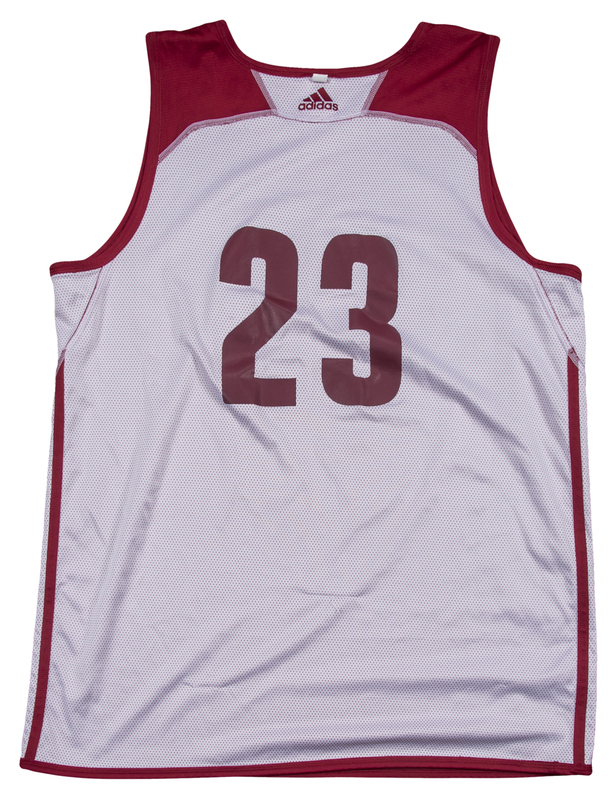 “23” is screen-printed on the back of the jersey in red, and the Adidas stripes are red as well. 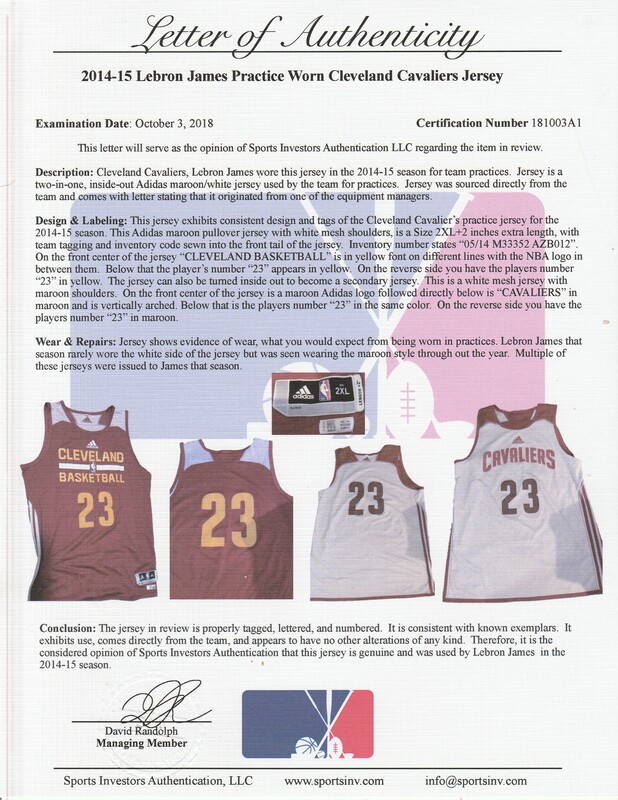 This jersey comes with a LOA from Sports Investors.